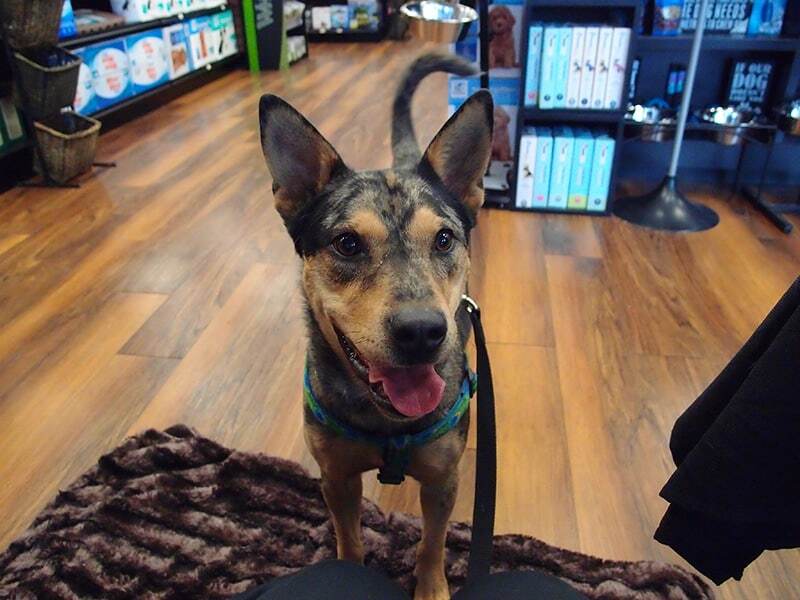 Nooka is a 2 year old Blue Healer who loves to play with other dogs and people. He will lie at your feet in the evening when all are relaxing, or on a soft doggie bed. Nooka enjoys chewing on nylabones and water buffalo horns. He will even bring the chew to his foster Mom to play tug with, or maybe he is just saying “look what I got”. He can be vocal when he is playful or being petted, but that is just Nooka being a young pup saying that he is enjoying himself. Some dogs have more to say than others. 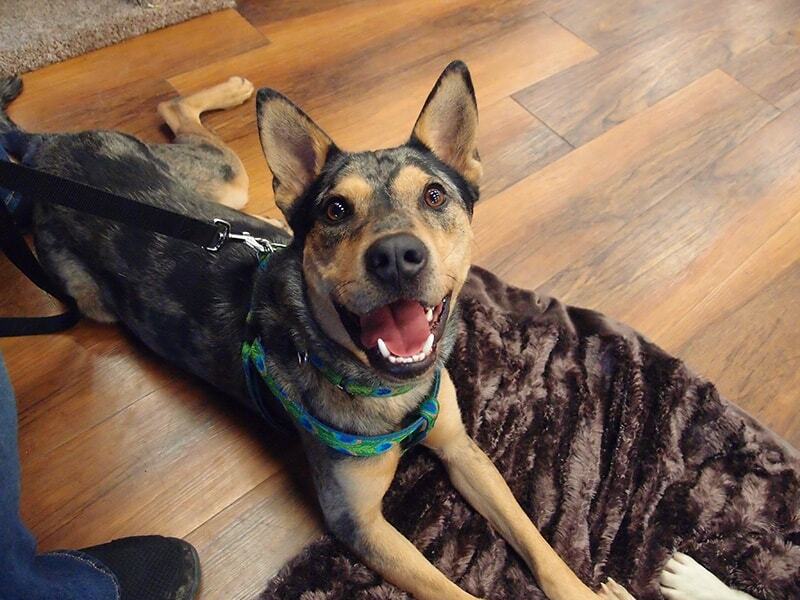 Nooka loves to go for walks/runs and can be a strong puller at first, but settles down. He also joins me at events with the rescue and does fine meeting other people and dogs. Even though I have not been able to get Nooka’s eyes checked internally (needs to be sedated due to extreme head shyness), we are thinking the issue with them could most likely be neurological, from abuse (meaning the neurological issues, like some seizure-type activity, are also from abuse). The neurologist feels he came from a bad situation and was beaten in the head causing brain damage. Nooka can see but his sight is not right. His pupils do not react much to light and he will not see a treat dropped in front of him while he is sitting and looking at you. Basically has no peripheral vision, but he gets along just fine. Nooka is on anti-seizure medication and doing really well with that aspect. Nooka would do best with a doggie door and fenced yard to have access when he is alone. In his foster home, he has been doing great with having access to the outside when the foster is gone. Nooka is forever in our hearts. Nooka suffers from seizure-type activity due to being abused and beaten in the head. Nooka is looking for his forever home. If you think it could be yours, read more about Adopting from BDRA before submitting your application below. BDRA relies on your donations to rescue blind dogs around the United States. Please consider giving in support of Nooka.